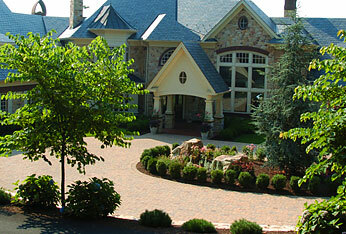 Since 1977, Hemlock Landscaping has been providing central Pennsylvania with prestigious outdoor living space. Our award winning professional landscaping service provides free consultation, on-site evaluation, professional design services and estimates. Our installation services include retaining walls, stone drywall, masonry fireplace, paver patio, water falls, ponds, planting, maintenance, seeding, and sodding. 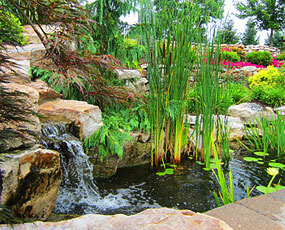 At Hemlock Landscaping, we create soothing, relaxing environments. Contact us today. 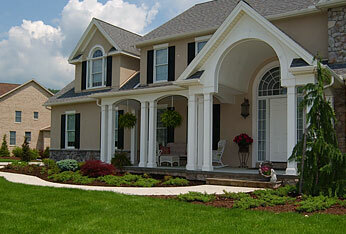 "Your home represents countless hours of careful planning and thought. At Hemlock Landscaping, we believe that this same consideration should be given to your landscaping." Whether you are building a new home or remodeling an existing home, professional landscaping will increase the value of your property. A recent study by the U.S. Forest Service reports that professional landscaping can increase property value as much as thirty percent. Professional Landscaping can also be an important energy saver. Properly placed trees can be a very effective shield against cold winds in the winter, while providing a source of shade for windows and walls against the hot summer sun. If you have ever driven past Battery Warehouse or taken a stroll through the Dauphin County community park you have seen our work in all it's immaculate glory! Give us a call today so we can begin to plan your project together!